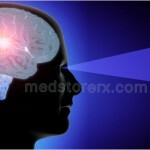 There are many people, who think that insomnia is not a big issue and it would go on its own, fortunately in many cases, it goes on its own, but for some unfortunate people it lingers around for a good time and cause many problems like interfering with the daily routine, affecting work performance etc. However, we have talked much about insomnia, now it is time to look out for ways through which we could give it a tough fight and enjoy a restful sleep. Get in touch with your doctor to be sure, if any of these conditions is the reason for insomnia. If it is so, start the treatment early. It is not only the prescribed medications, but over-the-counter medications could give you sleepless nights. 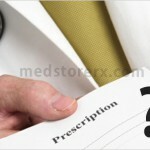 Stop OTC drugs right away however for the prescribed medications do take the doctor’s approval. Stress is the most common enemy of sleep. Some of the common reasons to feel stressed out are job-related pressures, marital problems, loss of a loved one or a serious illness. Exercise could really help however, make sure that you exercise at least three hours prior going to bed. Meditation and deep breathing exercise can also be of great help. A short nap. Sometimes, it could keep you awake during the night. A nap of one hour during the day is sufficient. Complete avoidance is the best practice. However, if it is not possible make sure you take all the above-mentioned things in moderation. Some question that alcohol make you feel drowsy so how could it interfere with sleep. It however, does and causes sleeplessness. An increased intake of caffeine or alcohol in the afternoon or late evening could affect the sleep cycle and thus you suffer from insomnia. Last but not the least, make sure that the bedroom should be inviting. The room should be clutter free and clean. Some other points to consider are the size of the bed, the color of bedding, lighting arrangement. Light instrumental music could soothe your nerves and mind and help sleep. These were some of the points, which I think are very easy to work upon. So, get started today and start enjoying a good night sleep.